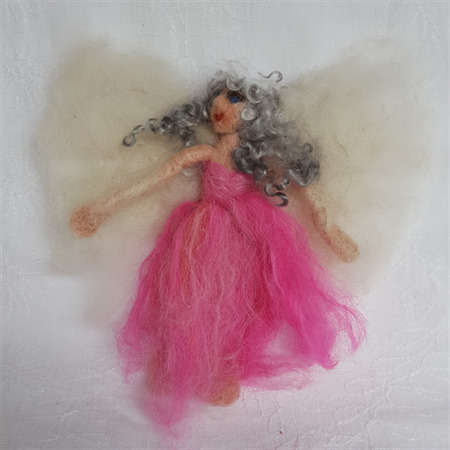 Lisette is a fairy for a pink lover. 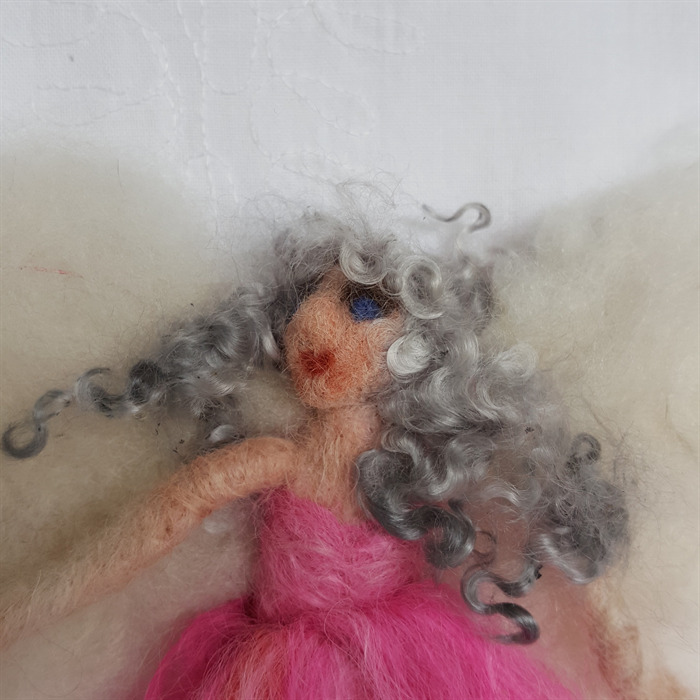 She is made completely out of needle felted fibre, her body, dress and wings have been sculpted from alpaca and her beautiful curly grey hair from the mohair of one of my two naughty goats. 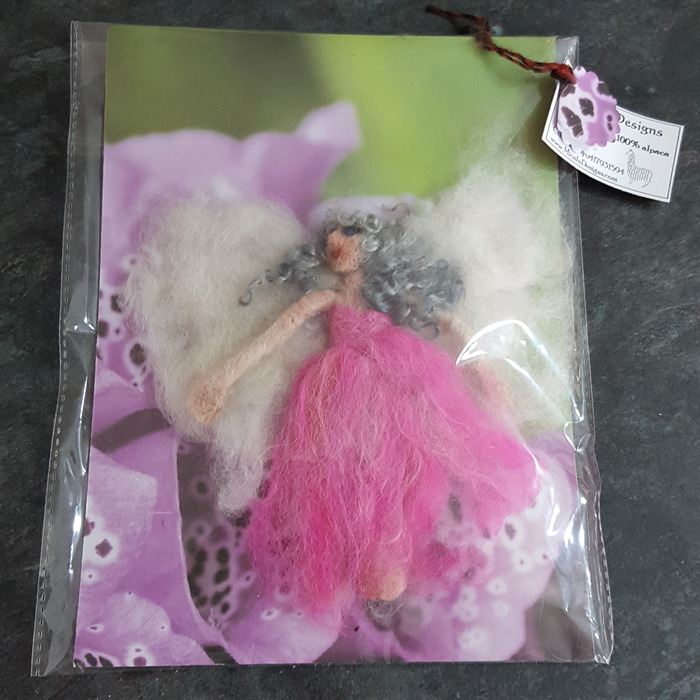 Lisette could be hung from a Christmas tree or used as a wall ornament. Although she is really attractive to a child she is not suitable as a toy as she wouldn't stand up to the wear and tear. She comes in her own protective bag.